When Rachel Wambach ’18 walked into a farm-to-table restaurant in Cerrito, Paraguay, she had to seat herself, pour her own water, and guess at what the buffet dishes were. With that service, you’d think she wouldn’t go back. But Wambach returned multiple times over the course of D-Term 2017. She and her two IQP teammates at WPI’s Paraguay Project Center were tasked with improving hospitality at the restaurant, which is based at an agricultural high school and staffed by students who had never eaten out themselves. “The difficulty came from the fact that many of the students working in the restaurant as servers and hosts had never even been to a restaurant. They didn’t know what they were supposed to do,” says Wambach, a biology major who graduated last May. By the end of the seven weeks, the IQP team had evaluated every aspect of the customer experience, modeled proper technique by serving the students, and developed training videos and curriculum to help teachers implement their suggestions. The team presented its report in Spanish to their advisors and the project center’s host, Fundación Paraguaya. The Paraguay Project Center began as a pilot program in 2014 after Martin Burt, director of Fundación Paraguaya, told a WPI audience about his nongovernmental organization’s mission to end poverty in his country by equipping people with the skills and resources to support themselves. After the talk, Professor Robert Traver asked Burt how he could help: “I told him, ‘I’m not a Latin American specialist, I’m not a development specialist, I don’t even speak Spanish, but I can get you student teams.’” The two worked together with Burt’s wife, Dorothy Wolfe, now co-advisor with Traver of the project center. Traver enrolled in Spanish language classes, and by 2016, the project center was running at full force. It’s the only one at WPI that requires students to be proficient in the host country’s language. 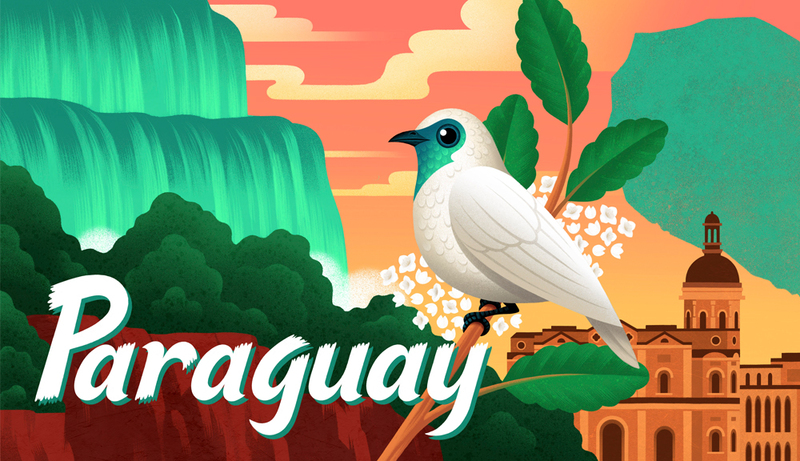 Very few people in Paraguay speak English, where the official languages are Spanish and Guarani. Wambach was drawn by the opportunity to use her Spanish minor and to spend time in a country she likely wouldn’t visit as a tourist. The following year, civil engineering major Zachary Abbott ’19 traveled to the Paraguay Project Center for the same reasons. His IQP team looked at how technology could improve education in 10 rural schools. None of the schools had Internetconnected computers, but most students had access to smart phones. The group worked with the schools’ faculties, showing them ways to use apps, e-learning sites, and social media to teach, plan, and communicate with students and families. Extending learning to individual smartphones could also help the indigenous students keep up when they miss school, where absenteeism is high. The students are often called away to help hunt and harvest food. Heavy rains often make the trek to school difficult as well, says Nicole Franco ’19, a robotics engineering major. She and her teammates walked up to two miles to reach some of the schools. “It was like walking in the shoes of the students and it helped us understand that when it rains, you’d rather stay home than walk through the mud,” she says. A highlight for many IQP students at the project center was getting to know the people of Cerrito, a rural township of 5,000. Franco said she and her teammates would often stay behind an hour or more at the schools they visited, teaching the students English and learning Guarani and indigenous dialects from them.